Idaho, the Movie and Idaho the Movie 2 on sale beginning November 26th, 2016 at all Idaho Costco warehouses. Signing Events: Tim Woodward will be at the Boise Costco Warehouse to personally sign your Idaho the Movie 2 BluRay! What store is Tim Woodward going to be at. Good documentary. The Idaho Statesman will host another signing, coming up in mid-December. Date and time TBA. informative movie. A visit is in the near future. Will it be at the Twin Falls Costco? Yes, the DVDs are on sale now at all Idaho Costco stores. 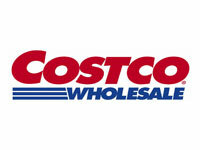 what about costco stores in tacoma,washington.just saw 20min. of the movie. i would like to buy the movie. The movie is selling at the Sequim, Washington Costco. Otherwise you can buy it online at Amazon.com. Thank you. is the movie selling in the Salt Lake City area? many Idaho transplants as well as fans of the state.